Immigration services are important for individuals who are unable to navigate the complexity of immigration law on their own. In fact, attorneys who do not normally practice immigration law invariably find the field unusually dense and difficult to master. Due to the vulnerable status of many immigrants and the law’s inherent complexity, some attorneys and non-attorney immigration service providers seek out opportunities to defraud hopeful immigrants. For example, President Obama announced on November 20 and 21, 2014, the “immigration accountability executive action,” also referred to as DACA and DAPA, which may benefit millions of the undocumented in California. Immediately after, numerous scam artists, some attorneys and many that are not, came out of the wood work offering paid services under the executive action even though it is not definite that the Department of Homeland Security will be accepting applications anytime soon. This is not unusual since through the years thousands of immigrants, if not millions, have been ripped off by unscrupulous immigrant service providers in the quest to “legalize” their status. There is still an acute need to educate the immigrant consumer about who can lawfully provide immigration services. The following is a brief lesson. First, attorneys who are allowed to practice in any state or U.S. territory may provide legal advice and enter appearances before the Department of Homeland Security (DHS), Executive Office for Immigration Review (EOIR) (immigration court), and the Department of State (DOS). If the services rendered are fraudulent or incompetent, the victim may file a complaint with the corresponding State Bar and/or file a lawsuit. Second, EOIR Accredited Representatives (ARs) working for a non-profit agency may provide immigration services as long as they are supervised by an attorney. ARs are not lawyers, but are authorized by the EOIR to represent individuals before the EOIR and the DHS. These ARs must work for an organization that is officially recognized by the EOIR. The name of both the AR and the recognized organization are on a list kept by the Board of Immigration Appeals (BIA) at the Department of Justice. Only the AR, and no other non-AR employees, of the recognized organization may give legal immigration advice and enter appearances as representative of record. Once the AR is no longer employed by the recognized organization, or the organization is taken off the list, the representation is no longer authorized. ARs, law students, and law school graduates may not accept any fee or compensation from the person being represented. Their compensation is limited to their salary. There are not too many accredited representatives in the Los Angeles County. Finally, in California, immigration consultants (ICs) may offer limited services such as filling out forms selected by the individual seeking services. The California Immigration Consultants Act (ICA)(Business and Professions Code §§22440 et seq.) regulates non-attorney ICs who offer non-legal advice or assistance in immigration matters. The ICA makes it unlawful for any person, for compensation, other than persons authorized to practice law or authorized by federal law to represent persons in immigration matters, to engage in the business or act in the capacity as an IC within this state except as provided by the ICA. An IC can complete a form but not advise a person as to their answers on those forms. An IC can translate a person’s answers to questions posed in those forms and make referrals to persons who can undertake legal representation in an immigration matter. An IC may not give legal advice and may only offer non-legal assistance or advice in an immigration matter. The ICA further requires that an IC, “prior to engaging in the business or acting in the capacity of an IC,” file with the Secretary of State a bond in the amount of $100,000 “for the benefit of any person damaged by any fraud, misstatement, misrepresentation, or unlawful act. An IC must display in his or her office a prominent sign and provide a written agreement for each client which states the consultant’s full name, address, evidence of the bonding requirement, and a statement that the consultant is not an attorney. In addition, an IC must include in any advertisement a statement that he or she is not an attorney. ICA violations carry severe consequences, including criminal sanctions and civil remedies. In other words, if someone is not in compliance with the ICA, for example, is not bonded or goes beyond merely filling out forms without giving legal advice can be arrested or sued. An IC should be charging nominal fees for the services. Even though the ICA was partly created to give immigrants an alternative to going to attorneys that might be charging huge fees for simple, form-filling services, may bonded consultants violate the ICA and act like attorneys by giving legal advice and charge exorbitant fees. How about paralegals? It is illegal for a paralegal to perform any services for a client, unless under the supervision of an attorney. Any attorney who uses the services of a paralegal is also liable for any harm caused by the paralegal’s negligence or misconduct. Anyone who has been a victim of someone charging money to do immigration work in violation of the ICA in the County of Los Angeles can sue the perpetrator in civil court and collect treble damages, civil penalties and the cost of attorney fees. In addition, a victim can file a complaint with the Los Angeles County Department of Consumer Affairs (DCA). The DCA initiates investigations and maintains a database of complaints related to immigration related services. It may refer cases to the Los Angeles County District Attorney’s Office, Los Angeles City Attorney, DHS, Federal Trade Commission, California State Bar, United States Attorney General and California Attorney General for further investigation that may ultimately lead to prosecution. Its investigators may assist in resolving disputes and there are investigators that speak Spanish. For more information, go to www.dca.lacounty.gov/wps/portal/dca or call (213) 974-1452. Do not be scared, be informed. The DCA only wants to help and is not interested in deporting anyone. 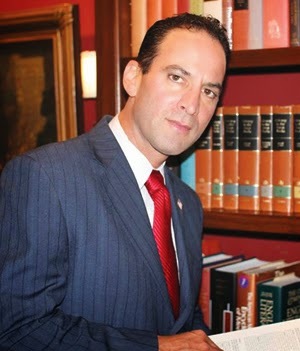 If there are doubts, consult with an attorney specializing in immigration law.